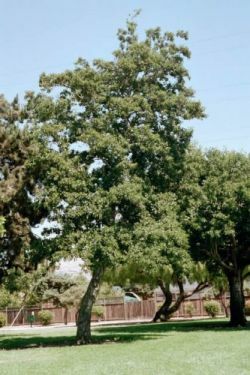 Comments: Broadleaf deciduous tree native to the Western States and California. Fast growing to 50' and broad spreading. 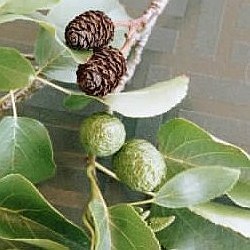 Tree has conelike green seed pods that are 1" long. Seed pods blacken and open in Summer and Fall.